Hotel Last Minute, promo ferries from the Port of Ancona to Greece and Croatia. 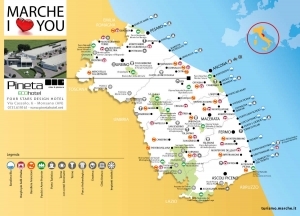 Why do we suggest Pineta Hotel travelling to Marche? Pineta in the heart of your vacation in Marche region. 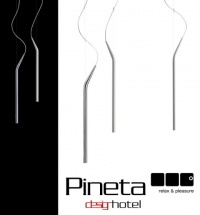 Pineta Hotel is located in Monsano, in Ancona Province. Business design hotel, an unique example of ecosustainability in Marche Region, an oasis of peace in the Marche countryside. Live with us a special experience, a design hotel with advanced solutions, addicted to beauty and maximum comfort.